Adopted the polyester and alloy metal. It can be used to hang the mineral water bottle or drinks bottle. Especially great for hiking, biking, camping and climbing. 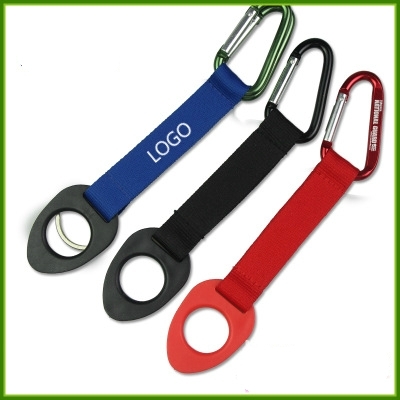 Logo can be printed on ribbon or laser engraved on alloy buckle. The price includes 1 color 1 location silkscreen on ribbons.